We hope this convention will be just that little bit special. The Super 8 'Scope show is intended to be the most spectacular compilation we have ever assembled to include clips from many of the best Super 8 'Scope releases of all time. As this will be the day after the 200th anniversary of the Battle of Trafalgar the final battle sequence from Master and Commander on Super 8 forms part of the show. 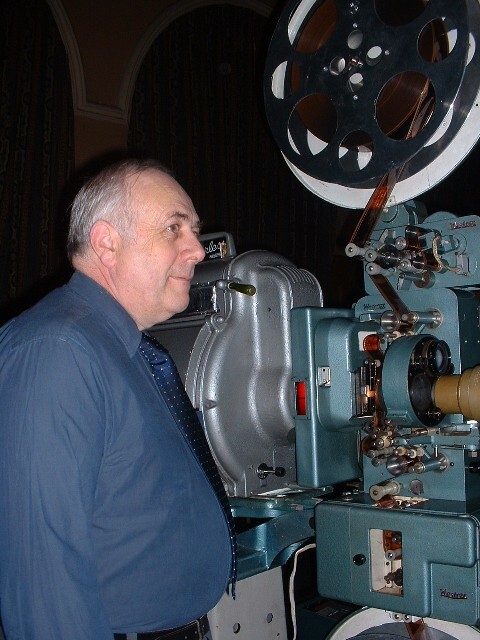 Ben Wales will provide 35mm and 70mm shows for another visual treat! 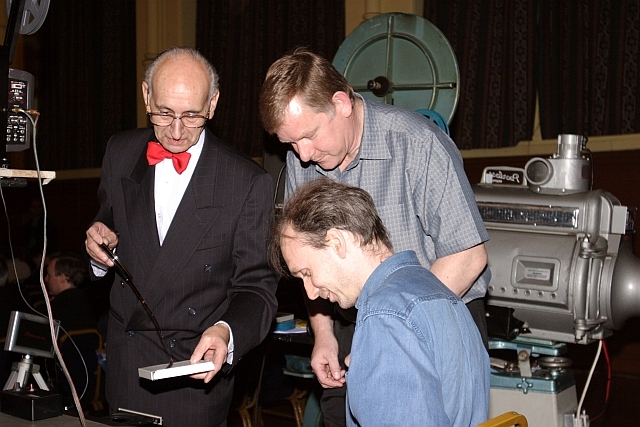 A new DVD Video release charting the history of film collecting with particular emphasis on the UK will be on sale on the day and also showing in the foyer area. This release is being prepared to coincide with the 40th anniversary of Super 8 and the 50th edition of the British Film Collectors Convention. 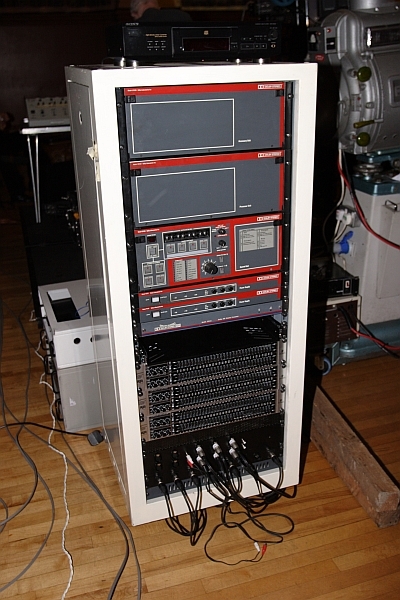 We are hoping to give a public demonstration of an HTI converted GS-1200. 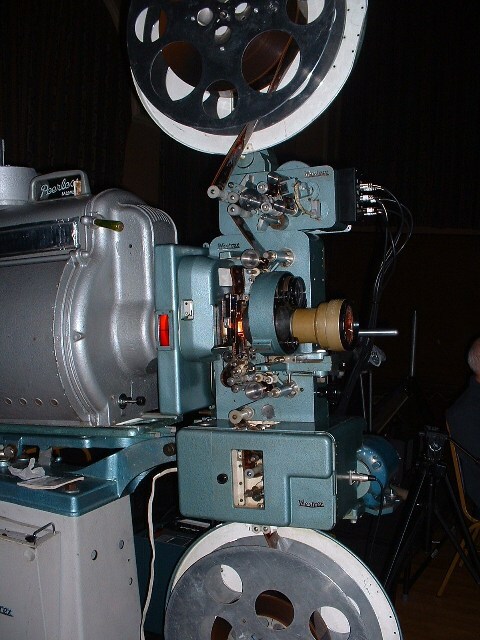 This machine has been converted by projector repair supremo, Bill Parsons. Special guests on the day to celebrate the BFCC's and Super 8's milestone anniversaries will include some of the film editors who brought us many of the cut-downs of the 70's and 80's. Plus, Dave Locke (involved with the BFCC's right at its inception) will be back at the BFCC projector for one of the shows. 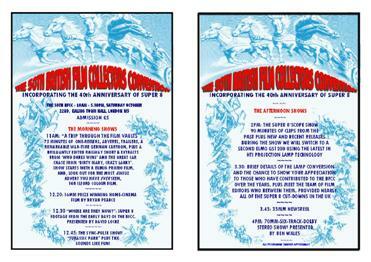 In addition we will have the usual attractions - two dealers halls, the bring and buy, Super 8 new releases shows etc. etc. etc..
Our thanks to Mal Brake, Simon McConway and Kevin Faulkner for loaning films from their collections for this convention. 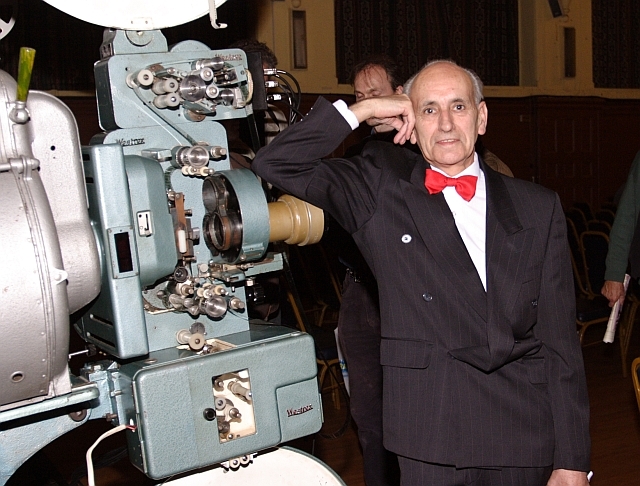 Blackpool and Derann open day projectionist Robert Nicholls with Ben Wales's 70mm machine. The Dolby Stereo sound processing and amplification equipment set up by Ben Wales on the day. David Locke returning to projection duties at the BFCC. Dave was there at convention number 1 and involved for many years.